In other words, it amounts to a wealth transfer from functioning power plants toward financially failing plants in the name of carbon-free green energy regulations. It's bad enough when climate alarmists subject the rest of us to their increasingly dubious harangues. It becomes far more sinister when they concoct Solyndra-like schemes and force taxpayers to subsidize them. After all, we're now over a quarter-century into the synthetic global warming "crisis." During that time, the climate models that we're instructed to trust have proven wildly inaccurate. Doomsday predictions have come and passed, only to be swept under the memory rug when they did not prove true. And in recent years we've even seen "global warming" conspicuously become "climate change" when inconvenient real-world evidence undermining their claims accumulated. In the face of those accumulating failures, most intelligent people would temper their claims and reassess their agenda. The opposite appears true among climate alarmists. Increasingly unwilling to merely lecture the population, they've instead become even more aggressive, leveraging government power to harass political opponents, imposing their will by force and spending taxpayer dollars in pursuit of their ideological crusade. The latest egregious example comes courtesy of New York Governor Andrew Cuomo and his enthusiastic accomplices. Unfortunately, New York taxpayers will suffer the consequences. Last month, the New York Public Service Commission whose board Cuomo appointed ratified a new Clean Energy Standard (CES) for the entire state. The CES requires that 50% of New York's energy must come from carbon-neutral sources by the year 2030. But that draconian and arbitrary mandate isn't even the worst part. In an unprecedented maneuver, the scheme subsidizes financially struggling nuclear power plants in upstate New York through what are called Zero Emission Credits (ZECs). Stated simply, the state's other utilities would be forced to purchase the ZECs from a government bureaucracy, which had themselves obtained those ZECs from the operators of the struggling upstate nuclear plants. In other words, it amounts to a wealth transfer from functioning power plants toward financially failing plants in the name of carbon-free green energy regulations. Anyone familiar with renewable energy subsidies for wind and solar operators will realize the obvious pitfalls. And who will ultimately pay the price? New York consumers and businesses, even those that live nowhere near, and receive no electricity from, the subsidized struggling plants. In fact, the scheme guarantees $1 billion in additional revenue to the struggling plants in the first two years alone, and some estimate a total cost of $8 billion. The total cost to consumers through 2030 will depend upon fluctuating wholesale electricity costs, how many of the non-self-sufficient reactors continue to operate, and other unknowns. Moody's warned investors that the ZEC cost over the duration of the program are "quite substantial," which it estimates at $17.48 for each megawatt hour of production. 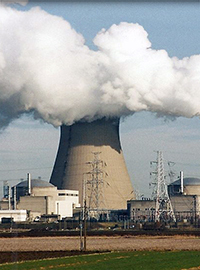 For the nuclear utilities, it estimates a disturbing 45% price increase. But whatever the exact ultimate cost, even the Cuomo Administration acknowledges that individuals and businesses in the state should expect their power bills to rise. But wait — it gets even worse. The entire scheme smacks of crony capitalism as well. Specifically, the new subsidies will reportedly benefit a single company, Exelon. That's because Exelon controls the struggling plants that qualify for the subsidy — the Ginna nuclear power plant in Wayne County and the Nine Mile Point plant in Oswego County. Exelon is also expected to acquire another plant that its current owner had planned to close in upcoming months. There are additional problems with the plan before it even begins. First, the approval process was undertaken in a questionable manner by allowing only two weeks for public comment. Second, the murky "social cost" of carbon will be a factor in setting the ZEC subsidy cost, which creates obvious cause for alarm. Third, anti-nuclear activists are challenging the use of nuclear power in pursuit of Cuomo's carbon-reduction scheme. To be sure, nuclear power is an energy source that the United States should utilize to a far greater extent. It offers safe, clean, domestically-sourced, reliable energy for consumers across the nation. Governor Cuomo's crony capitalist scheme, however, is not the way to go about it. New Yorkers should not have to pay the price for climate activists' pet projects, nor should this boondoggle become an example for politicians in other states to impose upon the rest of America.